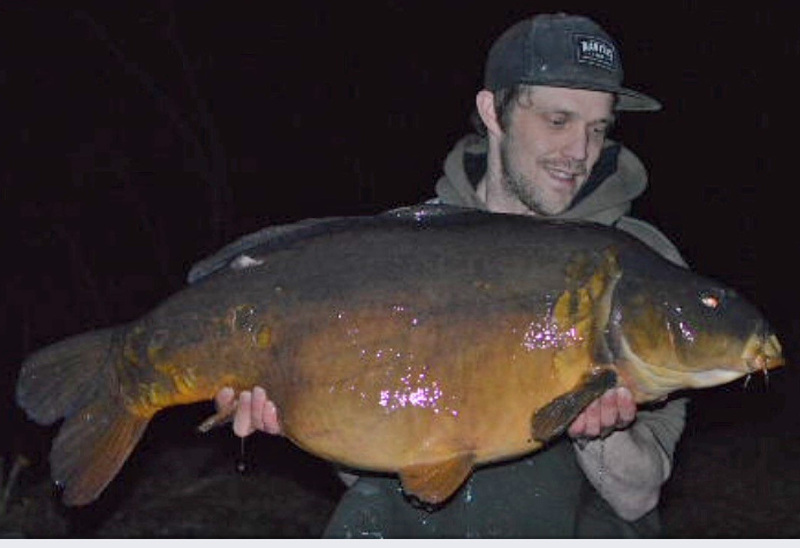 Richie Leat banked an incredible four forties and three twenties during a manic two day session at his local syndicate using Monster Tiger Nut boilies. The Wiltshire based carper netted fish of 42lb 4oz, 41lb 10oz, 41lb and 40lb 1oz during an action-packed evening. Richie fished over a bed of ground Monster Tiger and CompleX-T boilies, matching pellets, Frenzied hemp and maggots all flavoured in the newly launched Sweet Tiger Liquid and Evolution Oils. 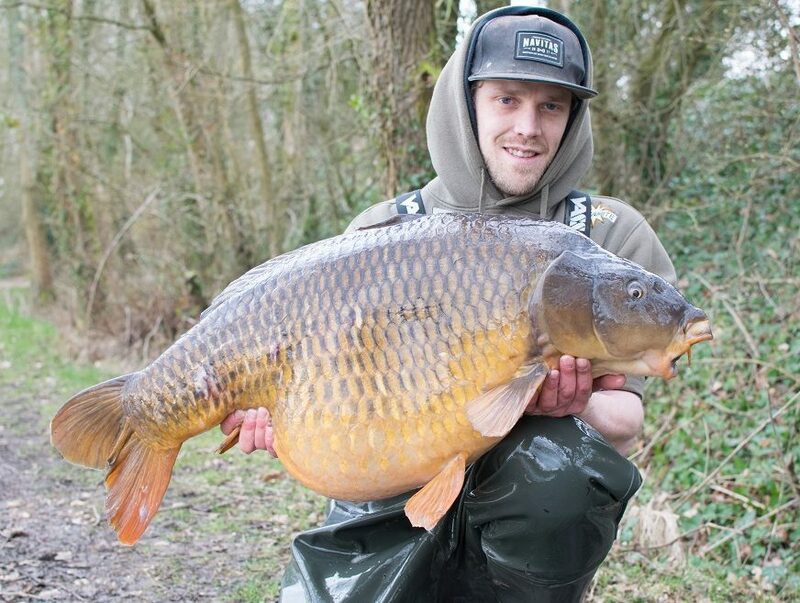 The impressive catch, was made despite freezing conditions on Hampshire’s New Forest Water Park syndicate where he slipped the net under the two big commons and pair of incredible mirrors by flossing his pop-up’s with maggots. The catch follows numerous other big fish banked by Richie during the winter using similar tactics including 11 forties and 16 thirties. 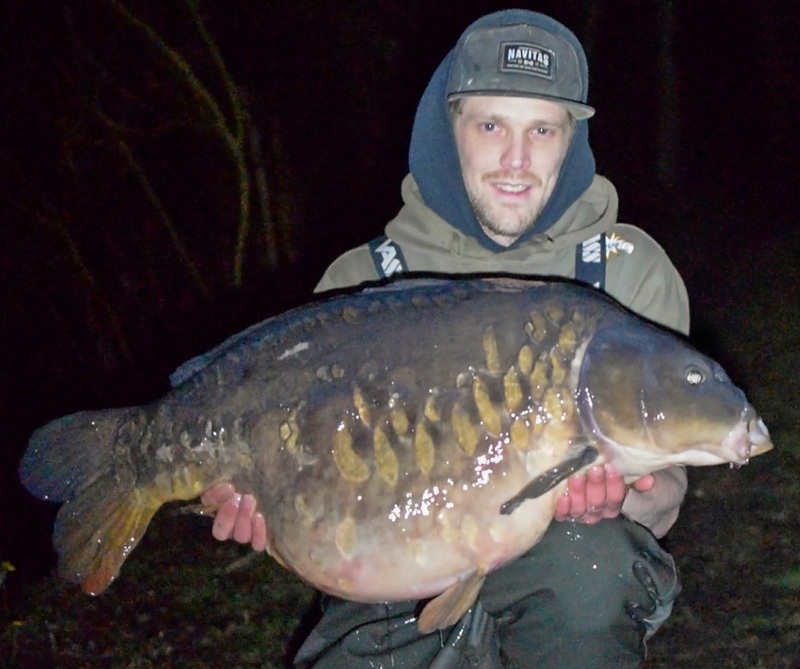 Richie started in the evening where he caught over this mix on zigs before fishing on the bottom with maggots flossed on a Monster Tiger for two more forties..
the biggest of the haul – a 42lb 4oz beast known as Football Lin..